Penelitian - The cause of Chandra's safe mode on October 10 has now been understood and the operations team has successfully returned the spacecraft to its normal pointing mode. 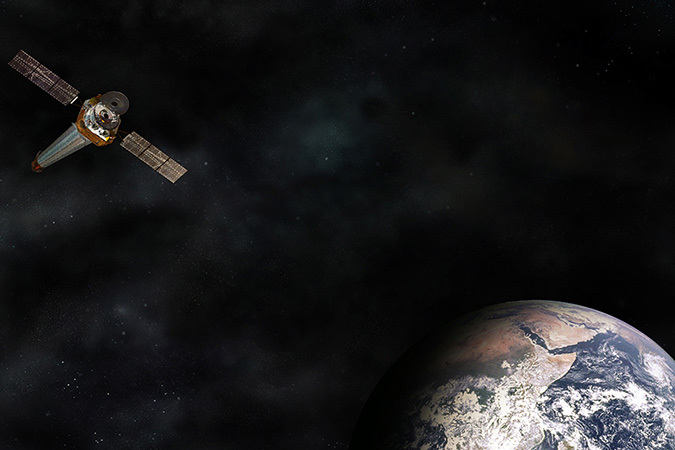 The safe mode was caused by a glitch in one of Chandra's gyroscopes resulting in a 3-second period of bad data that in turn led the on-board computer to calculate an incorrect value for the spacecraft momentum. The erroneous momentum indication then triggered the safe mode. The team has completed plans to switch gyroscopes and place the gyroscope that experienced the glitch in reserve. Once configured with a series of pre-tested flight software patches, the team will return Chandra to science operations which are expected to commence by next week. At approximately 9:55 a.m. EDT on Oct. 10, 2018, NASA’s Chandra X-ray Observatory entered safe mode, in which the observatory is put into a safe configuration, critical hardware is swapped to back-up units, the spacecraft points so that the solar panels get maximum sunlight, and the mirrors point away from the Sun. Analysis of available data indicates the transition to safe mode was normal behavior for such an event. All systems functioned as expected and the scientific instruments are safe. The cause of the safe mode transition (possibly involving a gyroscope) is under investigation, and we will post more information when it becomes available.